An expression of inner research, of feelings to be expressed, Castelli furniture is suitable for a clientele with a sophisticated taste and very careful to the evolution of design. 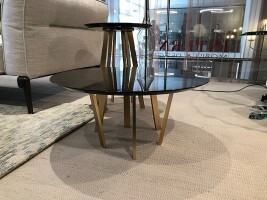 The Bolognese Company creates customized furniture projects designed to leave wordlessly, all strictly Made in Italy: it is not by chance that this is one of the best luxury contract companies of the Italian design. Castelli furniture for office and private residences represent quality labels, a certainty that is best expressed through two prestigious collections: Domodinamica and Inspiration. The refined inspiration of Paolo Castelli collections allows the insertion of unexpected details into each project. The host is responsible for guiding the guests to the discovery of every single design choice: the furnishing elements allow to recreate atmospheres that represent the personality of each client. The aesthetic sense of the brand is manifested through the experimentation of innovative materials, always following the leitmotif of the artisan mastery. Among the most surprising experiments is Queen, the architectural feather cement seat suitable for both indoor and outdoor use. To include it in your interior design means to act as an interpreter of a sophisticated design, which combines exclusivity and progress: the limited edition combined with the use (unusual for furnishing) of the feather cement makes it a precious and desired object. For more information on prices, products and furnishing projects, contact us for a free estimate. For Paolo Castelli the desire for expansion and progress reaches extreme levels, through selected furnishing elements. 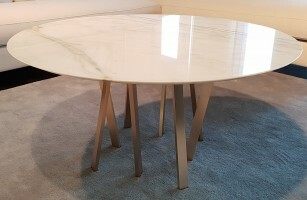 This is the case of Mars Table, a table that insinuates galactic references, regardless of the sense used in perception: the semantic nature of the name exploits the hearing, while the surprising lacquering that incorporates gold dust passes through the touch; vision is perhaps the most beneficial sense of perceptual refinement: shapes and colors work together to transfer the mystery of the universe to an equally cryptic object. 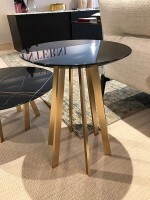 If the conquest of Mars is not sufficiently satisfying, you can always proceed towards the moon: Moon is a half-moon table, the totemic console with eclectic shapes that give a sense of lightness and suspension, just like in space. The itinerary of design does not have to symbolize a physical movement; on the contrary, the chairs of the Paolo Castelli collections make us feel that it is possible to undertake a journey while remaining seated. It is about time travel, discovering different periods, from the most distant to the contemporary ones. You move following essential lines of the seatbacks, the true guidelines for comfort. Sofia Chair is an elegant chair that accompanies contemporary explorers to the discovery of the ’30s: a visual and tactile exploration, through velvet expanses and nubuck caresses. And if you want to return to the contemporary era, the most important is to provide a space in your furniture dedicated to the Elle Collection Chair: what is striking are the seats with only two legs that come together to form a square base. There are also furnishing elements that suggest traveling even only through their name and its meaning: Red Carpet Sofa, large red upholstered sofa immediately presents itself as the ideal candidate to enjoy the best films ever seen. Offer yourself numerous trips without having to leave the chair.